At the time of this writing, the longest government shutdown in U.S. history ended after 35 days, lasting from Dec. 22, 2018 to Jan. 25, 2019. While the shutdown has ended, there’s always the potential for another as political unrest remains. 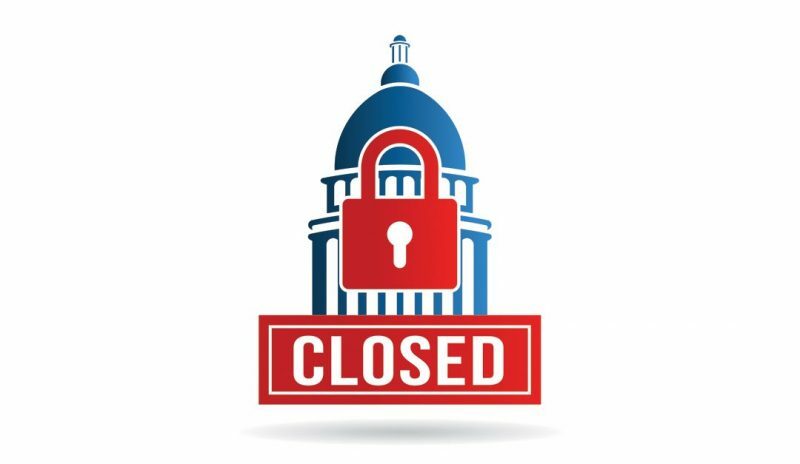 Regardless of what the future holds, many government agencies have been affected, causing federal employees to either be furloughed or work without pay. In addition, national parks were forced to close, and affordable housing funding has come to a halt, among other effects that will continue to be felt during the course of the year. With limited employees, capital and resources, small businesses are hit the hardest by rigorous regulations, and the expense of compliance often poses sustainable growth roadblocks for the entrepreneurs who need it the most. The following months could prove especially pivotal for small business owners, as the possibility of new legislation and regulations grows. A vital decision on the horizon is the possible repeal of the Dodd-Frank Wall Street Reform and Consumer Protection Act, which has constrained some mall businesses and homebuyers seeking access to credit. As data from the Federal Reserve Bank of St. Louis shows, in the six years prior to Dodd-Frank, small bank lending surpassed large bank lending by over 150 percent. In the six years after the bill’s passage, small bank lending sits nearly 80 percent below lending from large banks. The bill’s stringent credit qualifications have arguably limited Americans in their personal and professional lives, increasing the difficulty to access business capital and home loans. The possible repeal of Dodd-Frank could mean easier access to credit for millions of businesses, increased homebuyers and a stimulated economy. Women-owned businesses account for nearly 1.5 trillion dollars in revenue, and female entrepreneurs employ over 7.9 million people in the U.S. With such striking statistics, it’s easy to see how women are leading the way in job creation and having a major economic impact. Women are a true inspiration in my work every day, and I believe technology continues to be a catalyst in helping them achieve even more. What technology has made possible for any entrepreneur or business owner is quite astounding. Of course, the advent of the Internet generated entirely new industries in which to establish new businesses and tore down geographic boundaries that separated businesses from customers and new markets. But, on a more individual basis, technology now delivers a level of flexibility and mobility that enables every entrepreneur to define her own workstyle and lifestyle. And, none more powerful than that of cloud technology, which has transformed the capabilities accessible to new and smaller businesses. For the equivalent of four gourmet coffees a month, an entrepreneur can acquire all the technology they need to start a business. Most business processes are available through cloud services by subscription and are maintained by cloud services providers. This enables a new business to be up and running in a matter of hours, with professional email, a full suite of productivity applications and enterprise-grade communications tools like instant messaging, voice and video conferencing—all requiring neither an investment in expensive hardware nor a full-time IT staff. As many women entrepreneurs will acknowledge, there’s really no separating work and life, and most business owners I come in contact with don’t want to be tethered to a desk. With cloud technology, you can communicate with your team from anywhere on virtually any device. This type of flexibility enables the type of work-life blend that many women seek as they juggle business and home lives. From productivity applications to the latest security advancements, technology helps level the playing field for female entrepreneurs. The story of women entrepreneurs isn’t complete without discussing the challenges and key developments pertaining to issues like women’s access to credit and the cultural expectations that have, to a certain extent, limited many women’s ability to pursue entrepreneurial ventures. 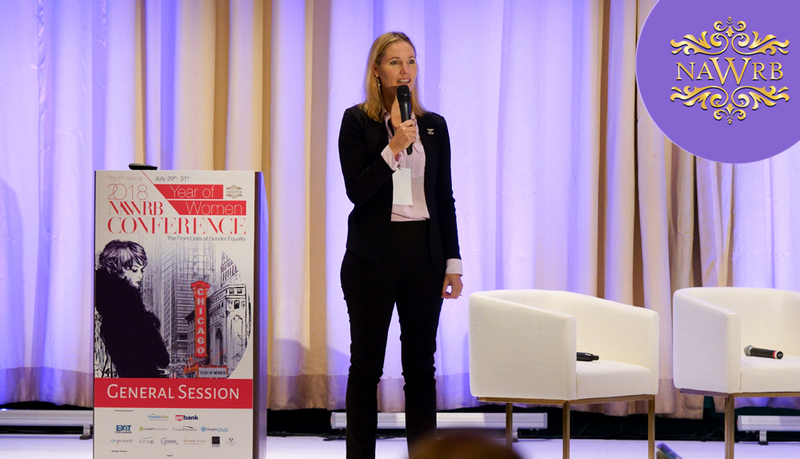 Even though women have faced an uphill battle in their entrepreneurial endeavors, the challenges have fostered new strength and determination that prove integral to their ultimate success. For example, restricted access to credit led women to start businesses on shoestring budgets, deepening their financial savvy and leading them to find efficient and economical ways to fulfill business needs. Social norms that designated business as an arena exclusively for men motivated women to form networks and alliances that are now critical sources of support for women entrepreneurs. 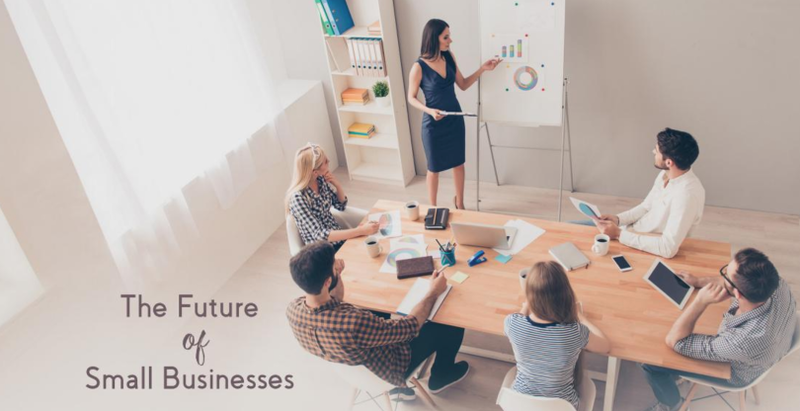 Today, organizations such as the Association of Women’s Business Centers (AWBC) help provide women business owners and entrepreneurs with a variety of support and services, including help in securing rounds of venture capital. Technology is opening up opportunities—not just for women, but for all entrepreneurs—to launch and grow their businesses. I encourage you to explore the ongoing wave of innovation, in areas such as cloud-based solutions, to discover potential new opportunities, transform your business, achieve and do more. The best and worst thing about social media is that anyone with an opinion has an opportunity to garner an audience. I should know because I’m one of those opinionated writers who has developed a social media “side hustle”—that has effectively doubled my core business—providing mortgage services to California residents. 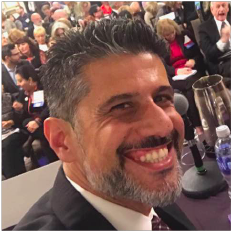 I didn’t do this through advertising, networking or any of the traditional marketing methods per se; I did it by building a reputation on social media as a source of reliable, unbiased information regarding the housing market. Regardless of the industry, customers will flock to someone that is both trustworthy and knowledgeable. A person who is an advocate for their customers, instead of a salesman, I believe, will always be more successful in the long run—and there is the pleasant side effect of just feeling a lot better about yourself. 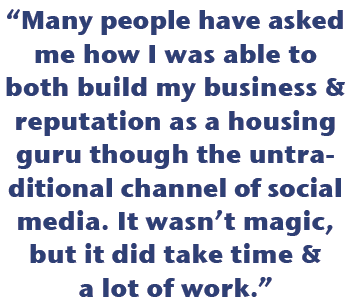 Many people have asked me how I was able to both build my business and reputation as a housing guru though the untraditional channel of social media. It wasn’t magic, but it did take time and a lot of work. If one is willing to put in the effort, any dedicated, reasonably intelligent person who is truly interested in their industry can do the same thing. The purpose of this article is to share my experience in building a social media presence and to provide a quasi-tutorial on how a real estate professional (be it an agent, broker, loan officer or anything in between), can learn to use the vast amount of data available on the internet to become a sought-after expert in their field. First a little background on me. I have a degree in history, not economics. I’ve always been interested in the financial markets but I work as a loan officer, not an academic economist or investment banker. I am proof that you don’t need to have that particular pedigree to become an expert in your field. I started writing about the housing market, first as a responder to news items on financial websites like CNBC and Business Insider, then as an invited contributor to Benzinga.com. In 2010, I decided to go it alone and I started my own financial information and opinion blog called LoganMohtashami.com. Then I made my personal Facebook page into a 24/7 economic data news center, posting economic charts, reporting and opining about the latest economic news. As someone who tracked economic data as a hobby, it was easy for me to write about macroeconomics and correlate that to housing economics. The blog, my postings on other news sites and my Facebook and LinkedIn pages gave me high visibility to potential clients. This has been a boom to my business, as many referrals have come through people who read my work or follow me on Facebook. If someone is interested in becoming more versed in housing economics to improve their business in real estate, or just to become a more valuable asset to their clients, it only takes time and determination to do so. The easiest entrée into this world is to start following economic reporters or thinkers on social media sites such as Twitter, Facebook and LinkedIn. My Facebook and LinkedIn pages, for example, are great source of information, but there are many other sources. A few of my favorites are Bill McBride from Calculated Risk, Joe Wiesenthal from Bloomberg TV and Diana Olick from CNBC. Once you start following a few experts, you will find that they retweet from other sources that you may want follow as well. 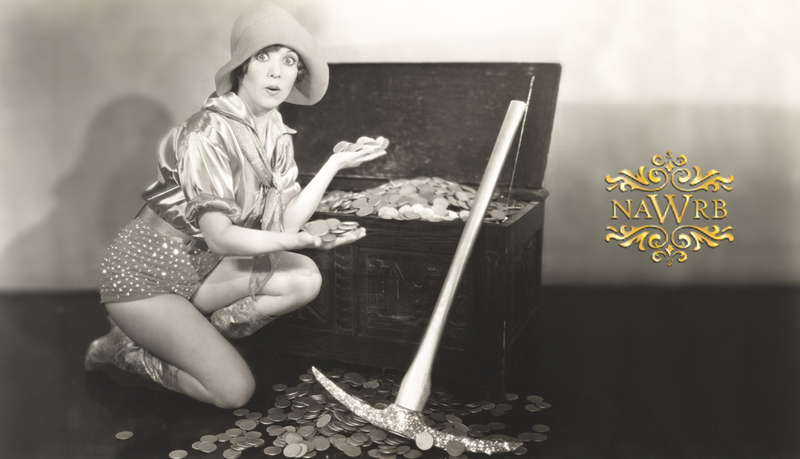 The next treasure trove of information on housing economics exists in the regularly released reports from professional organizations like the National Association of Realtors (NAR) and the government. 1) Existing-home Sales: data is released monthly, generally in thelast week of the month. 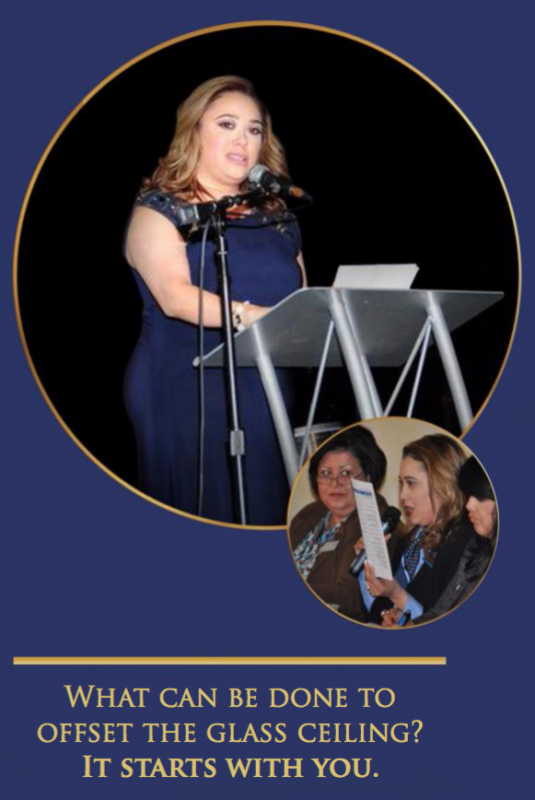 The December report is released on January 24th. 2) Pending Home Sales Index: data is released monthly, generally on the last day of the month. December numbers are released January 30th. 3) Metropolitan Median Area Prices and Affordability: data released quarterly generally in the middle of the month: Metro home prices for the first quarter are released May 15th. For the real estate agent hoping to gain insight into the market, the existing home sales report is probably the most relevant. My recommendation for how to analyze the data provided is to first read the press release. This will give you the overall picture of the market in terms of sales for the preceding month compared to the month before that and the same month last year. The release also reports on the median home price and the existing inventory. While I invite you to pay attention to the numbers, I would caution you as to how much of the interpretation of the numbers you believe. Remember the source. The job of NAR is to support real estate sales, and the analysis they provide must be viewed through that lens. A good rule of thumb is to question the interpretation of data from anyone with an agenda. That inventory is too low to support demand is not data—it’s interpretation of data. I, for one, have provided a different interpretation of this data. I believe and have provided substantial, evidence-based analysis that housing demand is not strong and low inventory is not holding it back. We had more annual monthly supply inventory from 2012-2016 than any period from 1999-2005 when interest rates and sales were higher. Interest rates have been under 5 percent since early 2011 and still the demand for both new and existing homes has been light. My recommendation: absorb the data, read the various interpretations, then think it through for yourself. 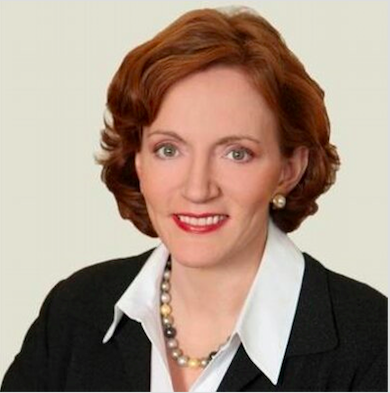 As a woman opening a real estate office in 1976, I recognized the importance of creating a brand that would be decidedly different from all others. Your brand needs to be based on a solid foundation of values; but it also has to look and feel unique. I achieved a distinctive look in my first office by displaying property listings on art easels and creating a welcoming, elegant space with an antique armoire and oriental rug borrowed from my mother to ensure the right first impression. 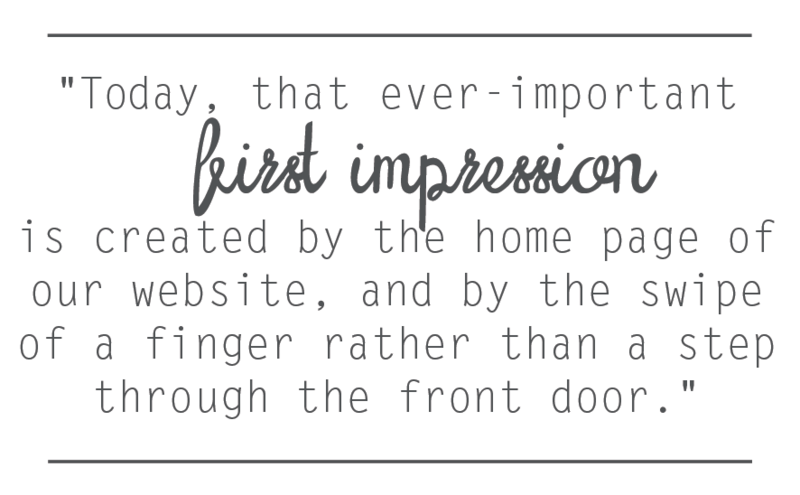 Today, that ever-important first impression is created by the home page of our website, and by the swipe of a finger rather than a step through the front door. In 1995, when my marketing director announced that we needed a website, I knew we had to get it right. The internet was so new, no one knew where it was going or it’s potential to reach a global audience. The importance was to have a presence. At the time, it was an easy $2,500 choice; we got our URL and published our first, primitive website in 1996. From that day forward, as the internet evolved, we developed marketing strategies that would keep us ahead of the pack. We went through many versions of the site as consumer preferences changed and of course, technology advanced. One thing has remained the same though: to deliver on our brand promise to use and deploy all tools that accomplish the goals of our sellers. responsive website. Your site needs video, blogging, web advertising, and social media platforms to promote your region’s lifestyles and properties. 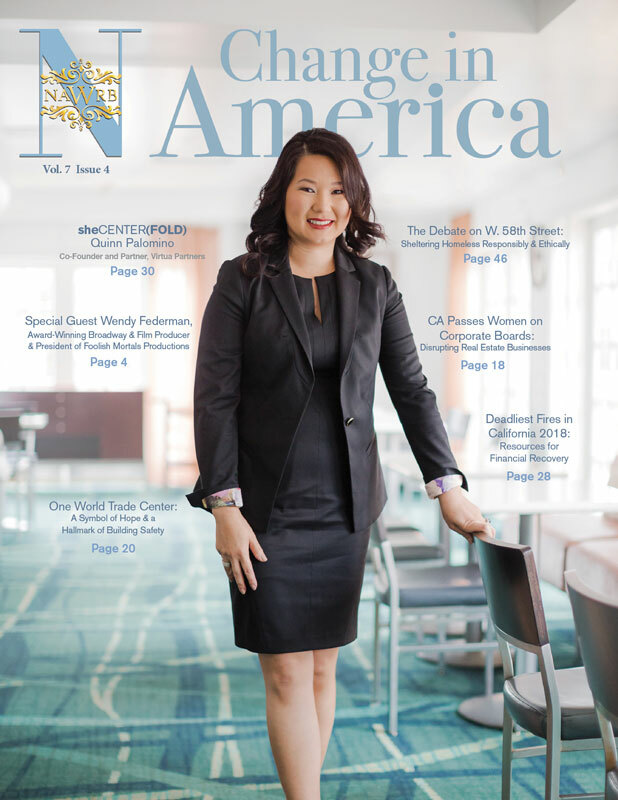 Senior leadership can stay ahead of the curve nationally and internationally with active involvement on boards, committees and conferences, exposing your business to best practices in real estate and technology. You will have access to all the shiny new technology objects, but it is vital to be discerning when deciding what to adopt and make certain it is aligned with your business strategies as a leading real estate firm. Of course, technology comes with its challenges. That is why it is paramount to have a skilled, in-house IT team to provide daily technical support to your agents. It is a significant advantage for every individual in the company to have their technological issues handled by someone they know and not by some unseen person on the other end of a phone line hundreds of miles away. In addition to help desk support, your technology team should provide training opportunities to ensure that agents stay informed on, learn and understand real estate technology tools and trends in the industry. Recently a dear friend and business associate, whose real estate brokerage is based in Europe, reached out to show me his new company website. We first met 35 years ago and developed a lasting relationship at a time when the internet did not exist and computers were only just beginning to debut in American homes. Following our conversation, I thought about the way technology is driving and shaping many industries, and how our world is far more connected than it has ever been. While forward-thinking organizations understand this shift from traditional engagement to digital platforms, we know that personal relationships remain our greatest asset. It is how we balance the two that keeps us on the leading edge. Certainly, given the sheer number of people on Facebook, LinkedIn and Twitter, it is easy for real estate agents to fall into the trap of believing social media is a silver bullet for communication. After all, social media platforms do generate 25 billion brand impressions each year. But there’s another marketing medium with a far greater impact and a more impressive track record: real life conversations. 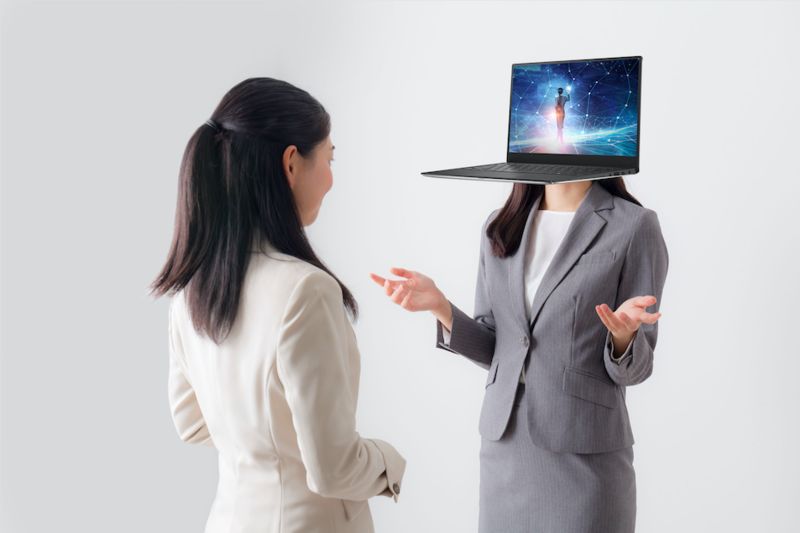 Technology has given us a new way to communicate, but face to face interactions with customers continue to build relationships and your business. My advice to real estate agents today is to embrace the traditional as well as the useful advancements in technology to enhance their businesses. Be social in the true sense of the word by going to lunch with your customers or calling to share local market updates, and the next time you sit down to compose a thank you message, step away from the keyboard and write it by hand on a note card. The impact you will have is far greater than anything you could accomplish with 140 characters. Of course, it is all about balance. By all means spend an allotted amount of time working on digital strategies, but create opportunities to complement that by going to a networking event or meeting a fellow associate for coffee. Whether or not the Wi-Fi connection fails or devices are switched off, interacting in person is always the best option. Small businesses are the backbone of the U.S. economy. With the jobs and services they provide, the 30 million small business owners in the U.S. keep the country moving forward one community at a time. However, with limited employees, depleted resources and unforgiving competition from larger companies, small businesses are often at risk of being forced to close their doors. The resources for small business owners, like the Small Business Administration (SBA) and campaigns like Small Business Saturday, are important and incredibly useful. With the funding opportunities and awareness they provide, these outlets can mean the difference between increased revenues and a permanently closed sign. 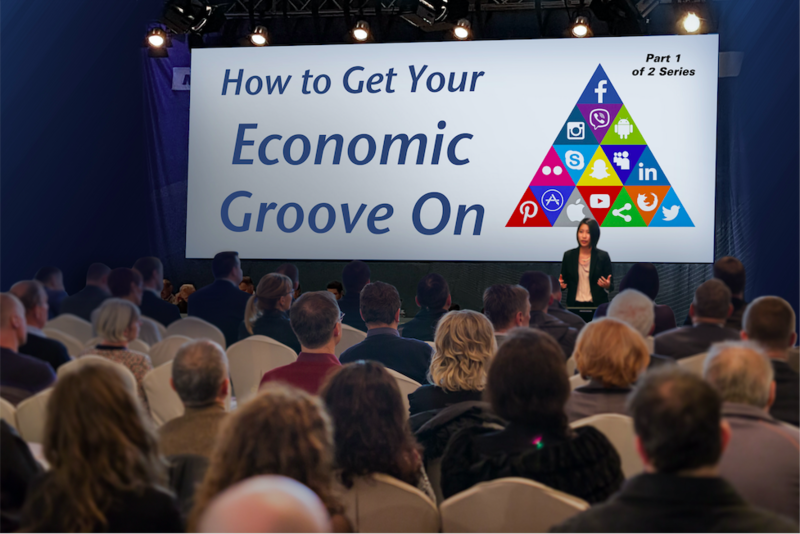 Soon small businesses will have one more valuable resource at their disposal. On December 16, 2016, President Barack Obama signed HR 3784 or the SEC Small Business Advocate Act of 2016 into law. 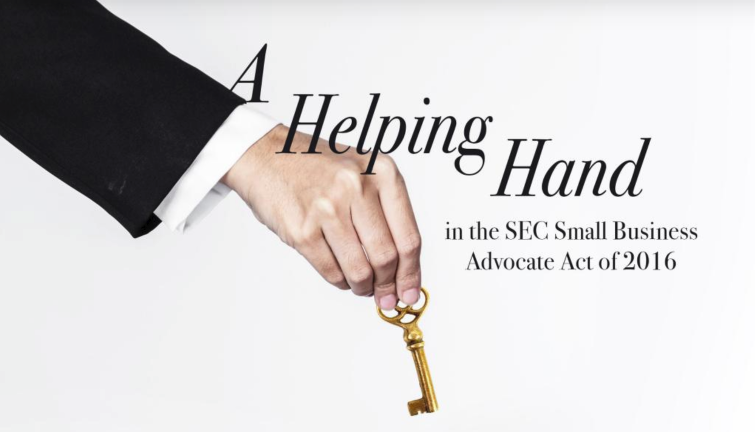 The act will create a new Office of the Advocate for Small Business Capital Formation within the U.S. Securities and Exchange Commission (SEC) tasked with pursuing the interests of and addressing the obstacles to small businesses. When an obese person loses weight, he or she immediately starts to feel better. Blood pressure improves, cholesterol levels diminish and energy levels rise. Because that person is no longer obese, the risk of developing type 2 diabetes, as well as liver, colon and breast cancers and other diseases linked to obesity, diminishes, right? A new study by City of Hope researchers found that even after a low-fat diet is consumed, long-term disease risks could persist. 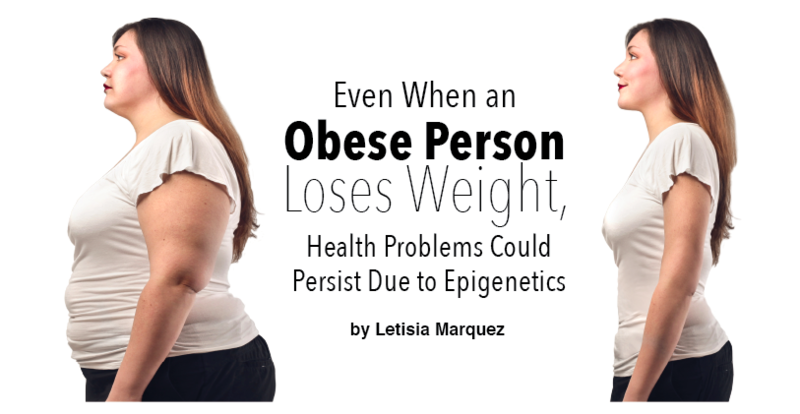 The reason could be epigenetics, which refers to changes to genes caused by external factors, such as pesticides or nutrients, that don’t change the DNA sequence. However, these changes can be passed to the next generation, according to Dustin Schones, Ph.D., an assistant professor in the Department of Diabetes Complications and Metabolism within the Diabetes & Metabolism Research Institute at City of Hope. Does the Glass Ceiling exist in today’s world of equality? What do you think? I think the facts speak for themselves. We all know women earn less than men. Women who worked full-time, year-round in 2014 earned, on average, 79 percent of men’s median annual earnings, according to the U.S. Census Bureau. Over the years the gender wage gap has lessened but we are still too slow in our progress. This past presidential election showed that we are still not ready for the first female President of the United States of America. Of the 195 independent countries in the world, only 17 are led by women, according to the U.S. State Department. “I can’t believe we just put the biggest crack in the glass ceiling yet,” stated Hillary Clinton at the 2016 Democratic National Convention (DNC). Are we one step closer? 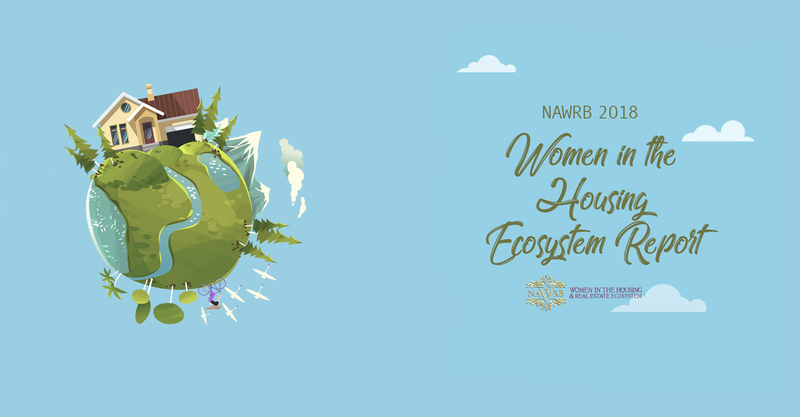 The National Association of Women in Real Estate Business (NAWRB) Diversity and Inclusion Leadership Council (NDLIC) brings women’s diversity and inclusion to the forefront of the housing ecosystem with accountability and results by raising the number of women in the housing finance industry. The numbers look promising for women looking for a career in real estate, as 62 percent of all Realtors® are female, according to the 2016 National Association of Realtors® Member Profile. On the C-suite level the numbers are inadequate. The 2015 Catalyst Census reveals that men held 80.1 percent of S&P 500 board seats, while women only held 19.9 percent and men held 73.1 percent of S&P 500 new directorships, while women only held 26.9 percent. The Census also found that: 2.8 percent of S&P 500 companies had zero women directors; 24.6 percent had one woman; and only 14.2 percent of companies had 30 percent or more women on their boards. Within S&P 500 companies, women held: 4.2 percent of CEO positions, 9.5 percent of top earner positions, 25.1 percent of executive/senior-level officials and managers positions, 36.4 percent of first/mid-level officials and managers positions; additionally, 44.3 percent of total employees were women. Women need to achieve higher educational attainment with advanced degrees in their respective fields. The more education once receives the more income one earns. Women also need to study fields where men have predominantly dominated. Examples would start with STEMF, a term I altered to include science, technology, engineering, mathematics and finance. Take risks in your career. Apply for the position you want but may not feel qualified for because you do not meet every qualification of the job. Women need to break the glass ceiling at every level. Whether you are starting your career or making a change in your career. It all starts with you.